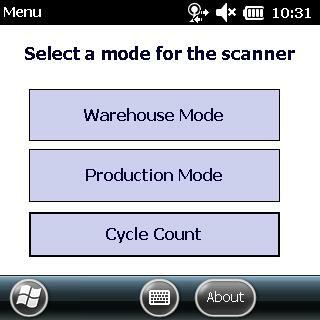 First you should log into the scanner application and select Cycle Count Mode from the main menu. 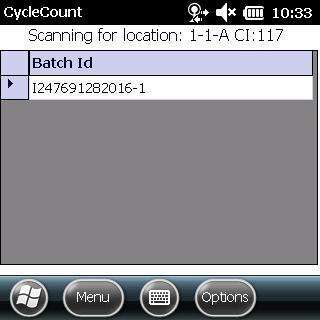 Once you have logged in scan the location that you want to cycle count. 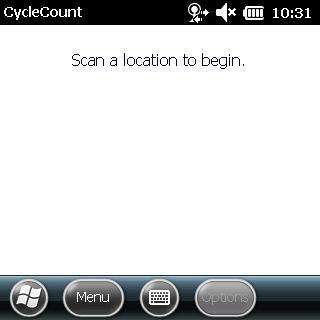 The scanner will ask you if you want to begin a cycle count for this location. Began scanning the containers that are in the location your are cycle counting. 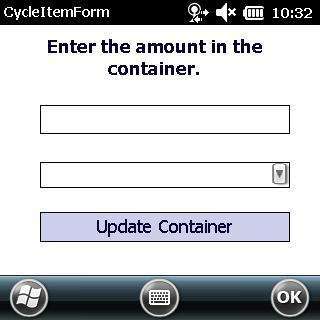 Once a container is scanned as screen will show asking for the amount in the container. The amount in the container will be recorded in Virtual Office and will be added to the location. Once you have scanned all the containers in a location click the options button in the bottom right corner and press Finish Cycle Count. By finishing the cycle count the scanner will then move any containers that it where previously in that location, that where not scanned, into a suspect location. 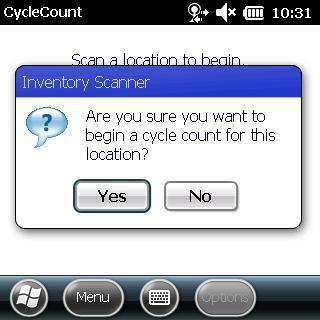 Any containers scanned that where not in the location being cycle counted will be moved in Virtual Office to the current location.